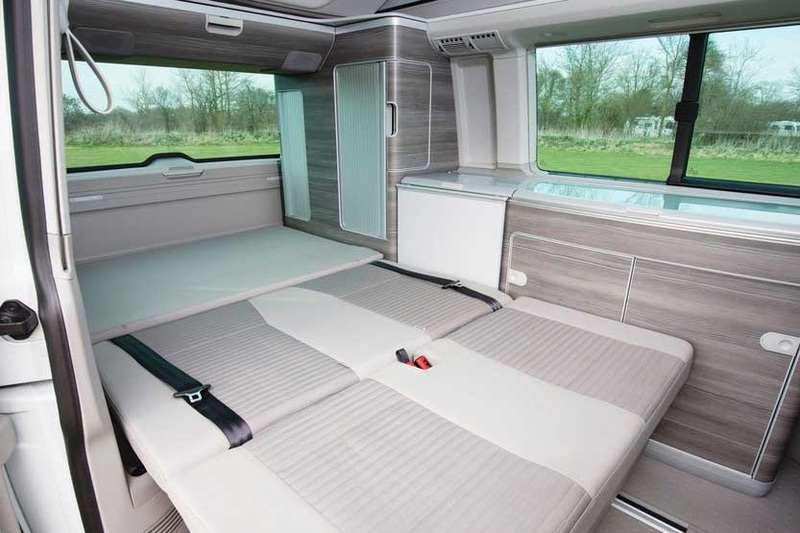 Be the envy of the open road in a luxury VW California Ocean! Like it’s predecessor, the vintage VW Campervan, the VW California Ocean is fast becoming an icon of the vehicular leisure scene. 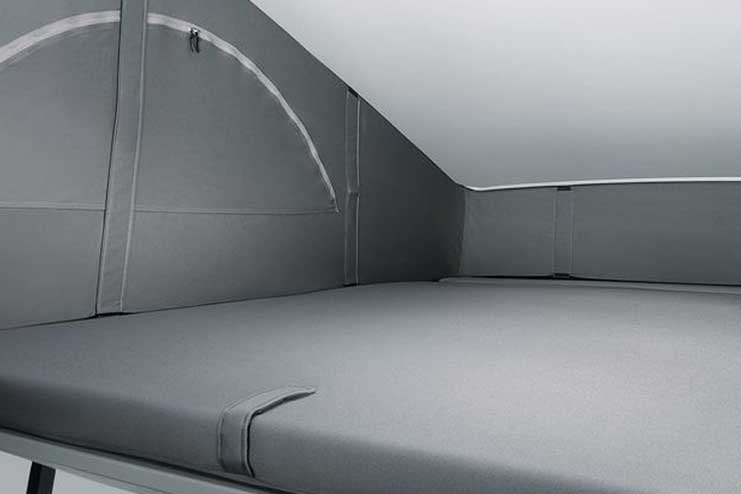 This modern, hi-spec and comfortable camper handles like a car, and you’ll find navigating country lanes, or inner cities effortless, with it’s elevated driving position, parking sensors and automatic gearbox. Despite it’s compact nature it still boasts a full kitchen, with cooking area, dual burner gas hob, sink, and a 43 litre capacity fridge. 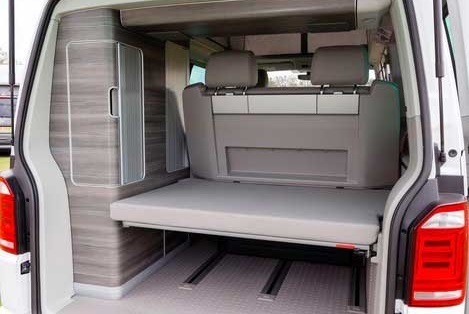 There’s plenty of room to enjoy your meals too, with an ingenious pull-out folding table, that once you’ve swiveled round the cab seats, comfortably seats four. 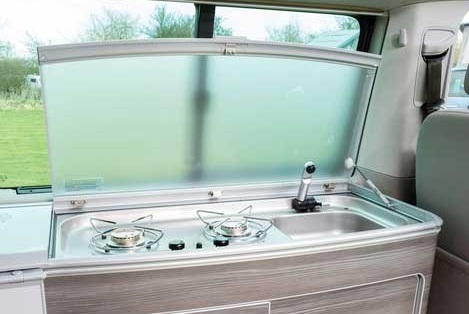 Come night time you’ll be warm and cosy with the campervans own simple to use internal heating system. Making up the beds couldn’t be easier. 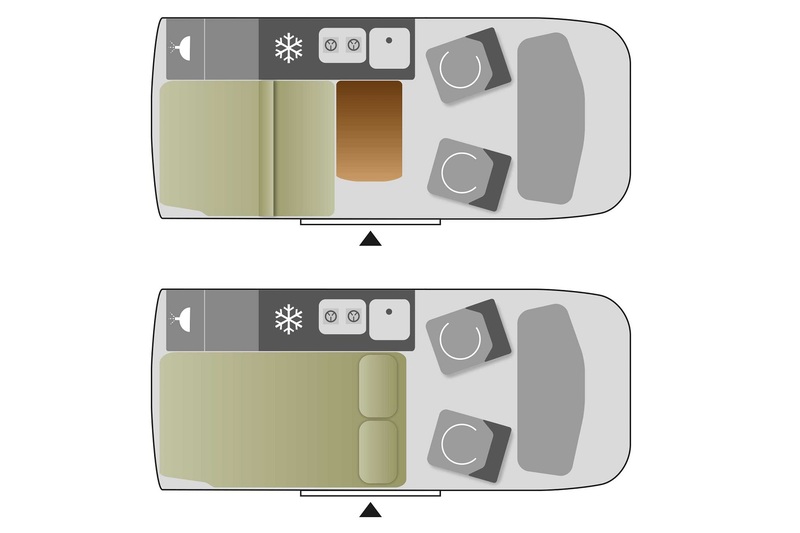 Simply slide forward and lower the rear seats to make up a good sized double, and the generous upper double is made by operating the electrical pop-up roof. It literally takes just seconds! 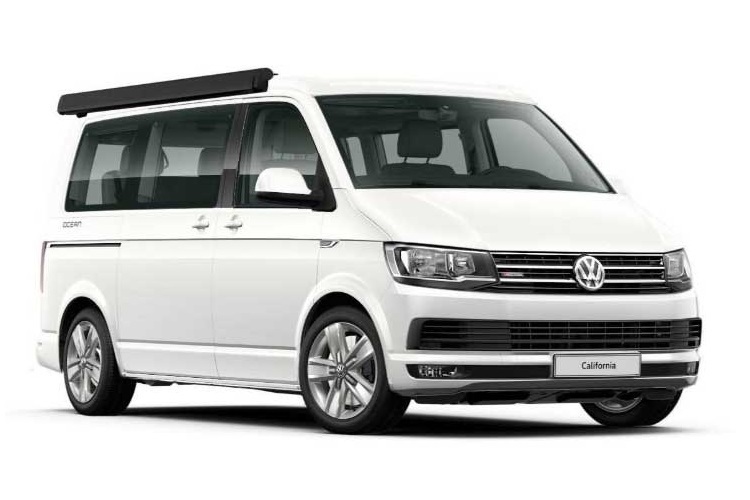 The LandCruise VW Campervan are California Ocean 2.0TDI 150PS 7 -speed DSG fitted with the following extras: Cruise control; Parking sensors & rear view camera; Privacy glass; Awning; Shower connection; and Roof bars. 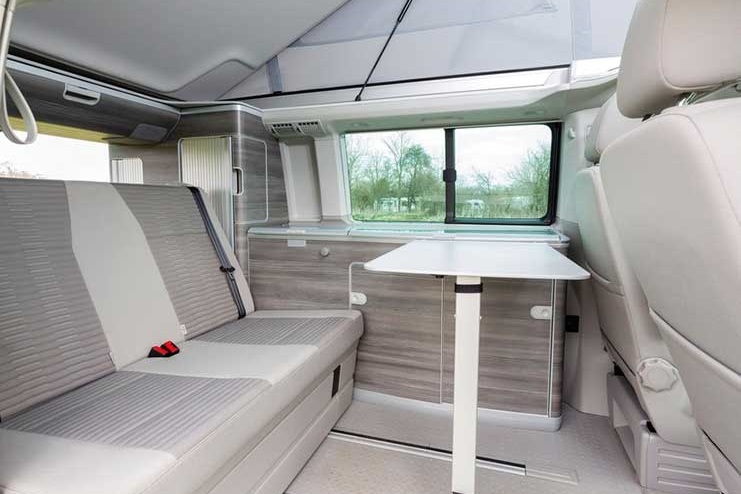 Perfect for friends, a couple, or a young family, the VW California is a modern symbol of independence and with it’s hi-spec and modern features, this camper offers the chance for an easy and convenient camping getaway. The images used are from the manufacturer. Not available for hire until May 2019.